In 2002, my grandfather had his third stroke and passed away. At seven years old, the concept of death was unknown to me. What had stood out to me was that the funeral was a sea of white. I wore white dresses, in addition to the white cloth wrapped around my forehead. “Why was everyone in white,” I'd wondered. According to Professor Quyên Di Chúc Bùi from the University of California, Los Angeles, in “the philosophy of the five elements -- white is a bad color, the color of death. The funeral of the ancient Vietnamese and [present day] is white.” In this Chinese philosophy of the five fundamental elements and its color expression, the color white represents grief and sadness. But while Vietnamese people may mourn with white, war-time commemoration seems to be marked by many other colors. It has been 43 years since the end of the war in Việt Nam. There, April 30th is known as “Ngày Thống Nhất Đất Nước,” the reunification of North and South Việt Nam. It is a day of celebration and fireworks. Even though her family did not celebrate, they would follow strict rules regarding the nation’s flag. “I remember that we are required to hang up our flag. Every family, they would have to have the pole and flag to put on that day,” she says. Local authorities of every hamlet, every street would make sure banners and flags are hung accordingly, lining the streets with red. “They would [go around and] remind people that it’s Ngày Thống Nhất Đất Nước. I don't remember seeing any problems with people refusing to hang it up, but pretty much everyone just follows the rules and everyone just hangs it up because they are reminded to do so,” she adds. One of those songs is “Năm Anh Em Trên Một Chiếc Xe Tăng,” about five men on a tank that rolled into the Presidential Palace in Sài Gòn, signaling an end to the war, and a victory for the north. In Việt Nam, April 30th is awash with red, fireworks, and celebratory parades. Yet for so many others, it is a day for mourning separated family members and lives lost. 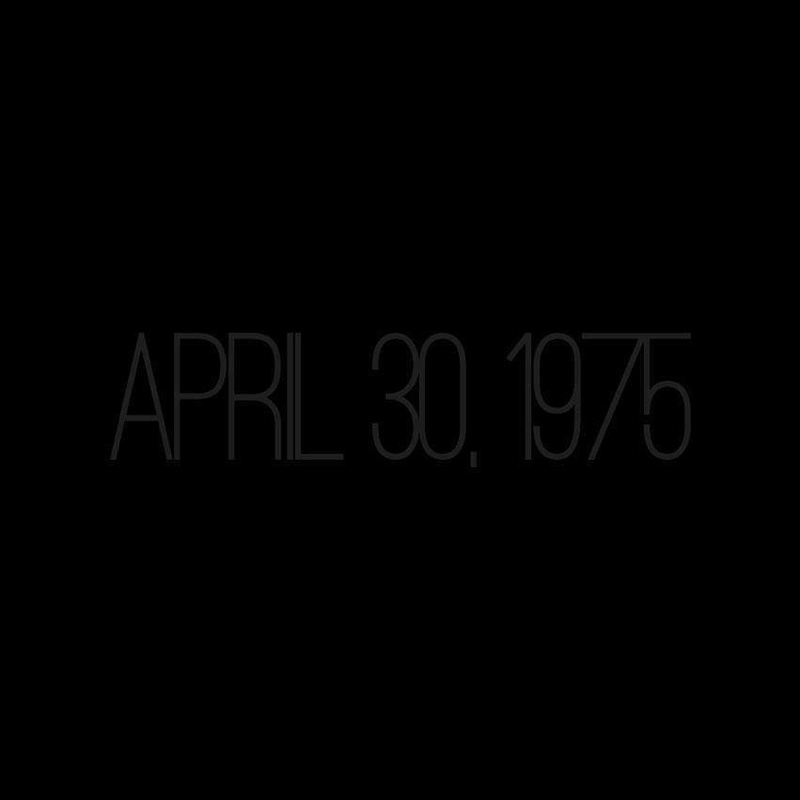 Throughout the Vietnamese diaspora this day is known as Tháng Tư Đen -- Black April. But why black? Vietnamese people typically wear white to symbolize grief and loss, as Professor Di explained. Why then, the use of black to memorialize this time? Whether you call this day Black April or Reunification Day, many would agree a certain color is universal to all Vietnamese. We use our five senses to capture experiences. Songs, stories, and symbols helps us make sense of history. And colors, all the colors that we are able to see -- they help us bind our experiences to memory.